President Trump and Kim Jong Un have met for the first time in Singapore, shaking hands against the backdrop of U.S. and North Korean flags level and side-by-side. 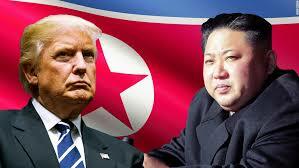 Mr. Trump said he thinks it will be a “terrific relationship,” and Kim, through a translator, said North Korea had to overcome a number of “obstacles” to get to this moment. 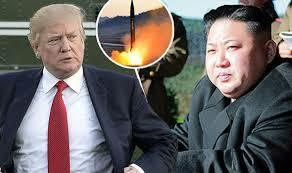 Mr. Trump said the U.S. will be continuing sanctions until denuclearization occurs — but suggested sanctions might be lifted earlier than many experts thought possible.